We are a nationwide initiative that aims to develop mutually beneficial partnerships between schools and businesses in Ireland which support the Government’s overall strategy on educational inclusion. We operate by matching individual schools that are targeted through the School Completion Programme with a local company. We are the only business-education programme in Ireland that receives matching Government funds under the National Development Plan. Our suite of six programmes supports students, principals, teachers, the STEM agenda and children’s literacy & numeracy in primary schools. Companies who join the Network for Responsible Business can access our Business Action on Education programmes. Our ‘Time to Read’ programme provides an employee engagement opportunity for companies to engage in one to one reading sessions with local primary school children. Company volunteers are trained to use a variety of reading strategies to help the child develop their fluency and comprehension and therefore their confidence, in reading. 100% of company volunteers found the programme ‘very enjoyable’ or ‘enjoyable’. Many children in Irish primary schools are not developing the necessary numeracy skills that allow them participate fully within the education system. Our Time to Count programme aims to support the Department of Education and Skills national strategy on literacy and numeracy. Experts agree that there is a need for initiatives in Ireland which support schools in finding ways to raise expectations for children’s literacy and numeracy achievement and to identify ways of helping families support their children’s development in these areas (DES, 2011). Nationally some schools experience a higher than average rate of students leaving before completing their Leaving Certificate. Our aim has been to increase the student retention rates in these schools. By matching companies with these schools we provide numerous opportunities for students to gain insights into some of Ireland’s largest companies, their career opportunities and to help them broaden their horizons. Employees can provide one to one mentoring to students at risk and the impacts on both students and employees is significant. Many companies tell us about their concerns around future talent entering their industry sectors. 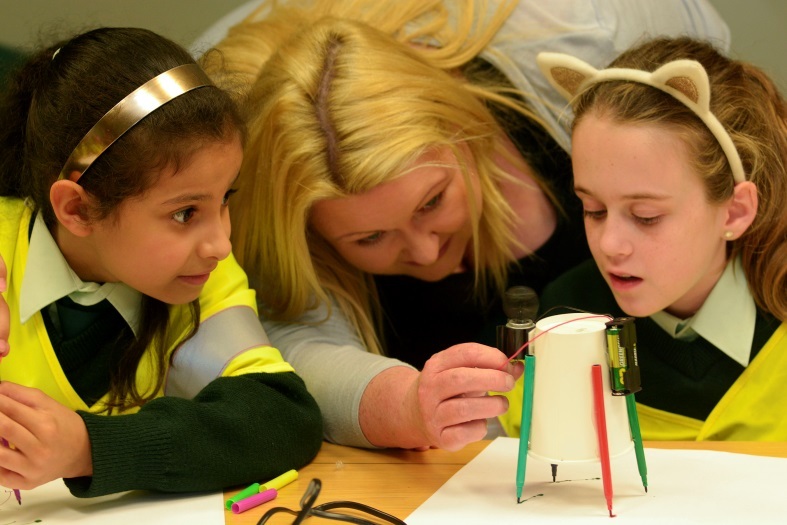 We work with government, schools and businesses to facilitate the knowledge transfer, insight into industry and career/skills information between Ireland’s top STEM companies and STEM teachers. This means they are informed on the pipeline needs of our economy and can advise students about the STEM options open to them. Our Management Excellence for Principals & Teachers and STEM Seeing is Believing programmes aim to harvest the knowledge, skills and expertise of Ireland’s visionary business leaders by facilitating them in sharing business approaches to leadership, management and personal development. Our Business Action on Education Programmes are delivered by The Schools’ Business Partnership and are funded by the Department of Education & Skills and Tusla and supported by Marks & Spencer, ESB, Cornmarket and participating companies.